The 14cm panelled heeled bowl beautifully combines a modern straight sided bowl with a traditional diamond cut pattern with engraving panel. 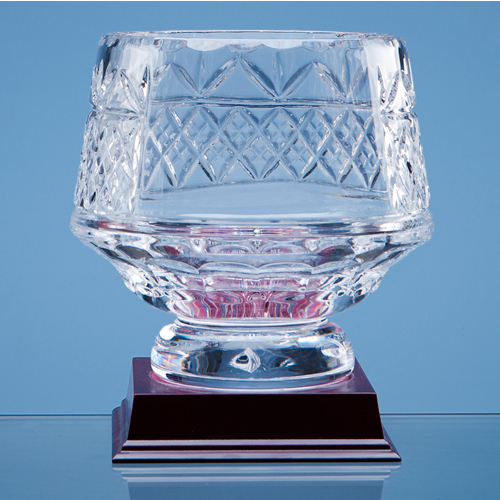 The engraving panel can be personalised with any crest, logo or wording to create a gift that is sure to be treasured by the recipient. The wood base compliments the bowl and is perfect for display purposes. The price shown is for the bowl only, the wood base should be ordered seperately.